In 1653, three men from Oyster Bay, Richard Holbrook, Robert Williams and Daniel Whitehead, purchased a parcel of land from the Matinecock tribe. This parcel has since come to be known as the "First Purchase" and included land bordered by Cold Spring Harbor on the west, Northport Harbor on the east, what is now known as Old Country Road to the south and Long Island Sound to the north. The three men immediately turned the land over to the white settlers who had already been living there. Because Huntington was populated largely by English settlers, unlike the rest of the New Amsterdam colony, the town voted in 1660 to become part of the Connecticut colony rather than remain under the authority of New Amsterdam. It was not until the British gained control of New Amsterdam in 1664 (renaming it New York) that Huntington was formally restored to the jurisdiction of New York. Following the Battle of Long Island during the American Revolutionary War, British troops used Huntington as their headquarters, and remained encamped there until the end of the war. The arrival of the Long Island Railroad in 1867 transformed the economy of Huntington from primarily agriculture and shipping (based on its well protected harbor) to tourism and commuting. Cold Spring Harbor became a popular summer resort. The end of World War II brought about an explosive growth of population in Huntington, as in the rest of the region. Farms and resorts gave way to homes, and Huntington has transformed into a major bedroom community for nearby New York City. As of the census of 2000, there were 195,289 people, 65,917 households, and 52,338 families residing in the town. The population density was 2,078.4 people per square mile (802.5/km²). There were 67,708 housing units at an average density of 720.6 per square mile (278.2/km²). The racial makeup of the town in 2000 was 88.31% White, 4.22% Black or African American, 0.13% Native American, 3.50% Asian, 0.02% Pacific Islander, 2.27% from other races, and 1.55% from two or more races. Hispanic or Latino of any race were 6.58% of the population. As of the census of 2010, the racial makeup of the town was 84.15% White, 4.68% Black or African American, 0.20% Native American, 4.96% Asian, 0.02% Pacific Islander, 3.89% from other races, and 2.10% from two or more races. Hispanic or Latino of any race were 11.00% of the population. There were 65,917 households out of which 37.1% had children under the age of 18 living with them, 67.4% were married couples living together, 8.9% had a female householder with no husband present, and 20.6% were non-families. 16.2% of all households were made up of individuals and 6.7% had someone living alone who was 65 years of age or older. The average household size was 2.91 and the average family size was 3.26. In the town the population was spread out with 25.5% under the age of 18, 5.8% from 18 to 24, 30.2% from 25 to 44, 25.5% from 45 to 64, and 13.1% who were 65 years of age or older. The median age was 39 years. For every 100 females there were 96.2 males. For every 100 females age 18 and over, there were 93.4 males. According to a 2007 estimate, the median income for a household in the town was $102,865, and the median income for a family was $113,119. Males had a median income of $61,748 versus $40,825 for females. The per capita income for the town was $36,390. About 2.9% of families and 4.6% of the population were below the poverty line, including 5.1% of those under age 18 and 4.6% of those age 65 or over. The town government consists of a town council with four members, all of whom are elected at large. The town supervisor is elected by the entire town. Other elected positions are the Town Clerk, Highway Superintendent, and Receiver of Taxes. A referendum to move to a ward district system on December 22, 2009 failed 81% to 18%. Sbarro's headquarters are located in Melville in the Town of Huntington. Around 2002, Swiss International Air Lines's North American headquarters moved from Melville to Uniondale, Town of Hempstead. The facility, the former Swissair North American headquarter site, was completed in 1995. Swissair intended to own, instead of lease, its headquarters site. It enlisted architect Richard Meier to design the Melville facility. 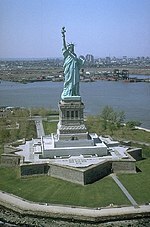 In 1997, Aer Lingus announced that it was moving its North American headquarters from Manhattan to Melville; James Lyndon, a spokesperson for the airline, said that the company moved to Long Island in an effort to reduce costs, as leasing costs are lower in Long Island than in Manhattan. The move would transfer 75 employees, including administrative personnel, marketing personnel, sales personnel, and telephone reservation agents. The airline planned to move on June 15, 1997. The airline had also considered sites in Boston and in Westchester, New York. There are a number of notable schools in Huntington. Several weekly newspapers cover local news exclusively, including The Long-Islander, since 1838. Village Connection Magazine, published by Jim Savalli, is a lifestyle and entertainment magazine dedicated to the town of Huntington. Additionally, Patch, an online-only news website owned by AOL, and the Huntington Buzz, an online-only news website that is independently owned, covers hyper-local news on issues, people and events in Huntington. Huntington is the town in which the American sitcom Growing Pains supposedly takes place. However, Robin Hood Lane, the street address of the Seaver family's home, is fictional. The show's creator, Neal Marlens, grew up in Huntington. The Village of Northport was mentioned in episode 6 of the 2012 NBC drama series Smash. Wendy Andreiev (Wendy Wild) – Lead vocalist in the 1980s for several New York–based bands. Ian Matthias Bavitz (Aesop Rock) – Hip-Hop, Rap artist. Brian Bloom, actor who previously lived in Dix Hills. Brendan B. Brown – Lead vocalist for the band Wheatus. Anthony G. Brown – Lieutenant Governor of Maryland. Edwin G. Burrows – Won 1999 Pulitzer Prize for History for the book Gotham: A History of New York City to 1898. Greg Buttle – Former NFL football player for the New York Jets. Peter Calandra – Broadway, movie, and television pianist/composer. Mariah Carey – singer-songwriter, born and raised in a suburban neighborhood. Harry Chapin – singer-songwriter and humanitarian. John Coltrane, famed jazz saxophonist and composer, who lived in Dix Hills during the last years of his life. Gerry Cooney, former heavyweight boxer. Anthony Cumia, co-host of XM Satellite Radio program "The Opie and Anthony Show"
James L. Dolan, Cablevision CEO, graduated in 1974 from Cold Spring Harbor High School. Edie Falco – Broadway, movie, and television actress best known for her role as Carmela Soprano on The Sopranos. Andrew Geller – Renowned architect. Jackie Gleason – comedian who spent many summers in Asharoken. Tom Gugliotta, former NBA player. Joseph Jeffrey Hazelwood, the ship's master of the Exxon Valdez at the time of the Exxon Valdez oil spill in the Prince William Sound, Alaska, on March 24, 1989. Elizabeth Hendrickson – Television actress best known for her role as twin sisters Frankie and Maggie Stone on All My Children. John Sloss Hobart, Owner of Eaton's Neck, and U.S. Senator. Namesake of the Town's "Hobart Beach" in Eaton's Neck. Amy Ignatow, author and illustrator, The Popularity Papers. Jenny Kallur – Swedish World Championships finalist in 100 meter hurdles was born in Huntington. Susanna Kallur – Swedish World Indoor record holder in the 60 meter hurdles was born in Huntington. Darius Kasparaitis – Former NHL ice hockey player for the New York Islanders, Pittsburgh Penguins, Colorado Avalanche and the New York Rangers. Jack Kerouac – Novelist and writer commonly credited as a major catalyst for the 1960s counterculture movement. Fiorello La Guardia – famed former mayor of New York City. John Lennon owned a house in Laurel Hollow, where he frequently spent time from the late 1970s until his assassination in 1980. Lindsay Lohan spent a portion of her childhood and teen years in Cold Spring Harbor. She attended Cold Spring Harbor High School until her Sophomore year of high school. Mark LoMonaco, wrestler who grew up in Dix Hills. Carey Lowell. James Bond film Licence to Kill. Law & Order character Jamie Ross, 1996–2001. Patti Lupone – Tony Award-winning broadway and television actress, best known for her role as Eva Peron in Evita., raised in Northport. Dan Milano – Television writer and voice actor best known as the co-creator of the show Greg the Bunny. Bruce Morrison – Former United States Congressman from Connecticut. He grew up in Northport and attended Northport High School. Rosie O'Donnell – Former talk show host and GLBT rights activist, raised in Commack. Gretchen Rau – Academy Award-winning motion picture set decorator. Alia Sabur – Youngest professor in history. Wally Szczerbiak, NBA basketball player for the Cleveland Cavaliers, attended Cold Spring Harbor High School. Evan Thomas, journalist, editor and author, grew up in Cold Spring Harbor. Randall Tolson, a craftsman and clockmaker, known for a series of highly collectible memorial clocks, lived in Cold Spring Harbor until he died in 1954. Jim Wetherbee (born 1952), astronaut. Meg Whitman, CEO of eBay and 2010 California gubernatorial candidate, grew up in Lloyd Harbor, adjacent to Cold Spring Harbor, and attended Cold Spring Harbor High School, graduating in 1973. ^ Woods, Silas (1898 edition). Silas Wood's sketch of the town of Huntington, L. I., from its first settlement to the end of the American revolution. F. P. Harper. p. 16. http://www.archive.org/details/silaswoodssketch00woodiala. ^ a b c d e f "History of Huntington". Town of Huntington. http://huntingtonny.gov/town_history.cfm. Retrieved July 12, 2012. ^ "Fact Sheet". American Community Survey. U.S. Census Bureau. 2007. http://factfinder.census.gov/servlet/STTable?_bm=y&-context=st&-qr_name=ACS_2007_1YR_G00_S1901&-ds_name=ACS_2007_1YR_G00_&-CONTEXT=st&-tree_id=307&-redoLog=false&-_caller=geoselect&-geo_id=06000US3610337000&-format=&-_lang=en. Retrieved 2007-11-28. ^ "Elected Officials". 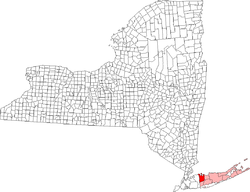 huntingtonny.gov. Town of Huntington. http://huntingtonny.gov/elected_official_list.cfm. Retrieved 2009-08-10. ^ "Contact Us." Sbarro. Retrieved March 5, 2010. ^ "Contact Us SWISS USA." Swiss International Air Lines. Retrieved January 20, 2009. ^ Anastasi, Nick. "SwissAir USA HQ heads to market. (Swiss International Airlines moves to Uniondale)." Long Island Business News. June 7, 2002. Retrieved January 25, 2009. ^ Wax, Alan J. "Aer Lingus moving offices to LI." Newsday. ^ "Jason & Maggie Seaver". TV Character Bios. TV Acres. http://www.tvacres.com/char_seaver_jason.htm. Retrieved 2009-01-28. ^ Adam, McDowell (January 7, 2008). "From the Cutting Room Floor: Alan Thicke". National Post (Canada). http://network.nationalpost.com/np/blogs/theampersand/archive/2008/01/07/from-the-cutting-room-floor-alan-thicke.aspx. Retrieved January 28, 2009. "Everything's OK on Robin Hood Lane, which was the name of our street." ^ Blum, David (February 27, 1989). "Where Were You in '68?". New York Magazine (News America): p. 118. http://books.google.com/books?id=7ucCAAAAMBAJ&pg=PA118&lpg=PA118&source=bl&hl=en&sa=X&oi=book_result&resnum=3&ct=result#PPA118,M1. Retrieved January 28, 2009. ^ Rose, Josée (March 13, 2012). "'Smash,' Season 1, Episode 6, 'Chemistry': TV Recap". Wall Street Journal. http://blogs.wsj.com/speakeasy/2012/03/13/smash-season-1-episode-6-chemistry-tv-recap/. Retrieved June 26, 2012. ^ a b "Joseph Lloyd Manor House, Page 2". Longisland.about.com. 2013-06-22. http://longisland.about.com/od/neighborhoods/ss/lloydneck_2.htm. Retrieved 2013-06-26. ^ DeWan, George (April 24, 2000). "LONG ISLAND OUR PAST / LI to NY: Hey, You Owe Us". Newsday. http://www.newsday.com/news/long-island-our-past-li-to-ny-hey-you-owe-us-a-prize-winning-historian-points-out-where-the-city-would-be-without-the-suburb-1.299073. Retrieved 2009-10-22. ^ "Peter Calandra / Composer". http://www.pecamusic.com/bio/bio.htm. Retrieved 2007-11-11. ^ "Peter Calandra". IMDb. http://www.imdb.com/name/nm0129321/. Retrieved 2007-11-11. ^ Little, Bob. "Avenue of Stars". http://www.theliconnection.com/editorials/621. Retrieved 2006-06-02. ^ "Alison Fanelli". IMDb. http://www.imdb.com/name/nm0266725/. Retrieved 2010-01-21.
. No. 10, season 3. ^ "Episode 10, 2005: Leisurama (transcript)" (PDF). History Detectives. PBS. http://www.pbs.org/opb/historydetectives/pdf/310_leisureama.pdf. Retrieved 2009-09-22. ^ Gorst, Jake. "Andrew M Geller Biography". http://www.andrewgeller.net/. Retrieved 2009-09-22. ^ "George Grosz at The Heckscher Museum of Art". http://www.heckscher.org/collection_george_grosz. ^ Auletta, Ken (April 30, 2012). "Get Rich U.". The New Yorker. Archived from the original on 6 April 2013. http://www.newyorker.com/reporting/2012/04/30/120430fa_fact_auletta?currentPage=all. Retrieved 6 April 2013. "Hennessy grew up in Huntington, Long Island." ^ "Elizabeth Hendrickson". IMDb. http://www.imdb.com/name/nm1058513/. Retrieved 2010-01-21. ^ "Long Island Luxury Homes, Long Island real estate, Long Island Homes for sale". Lloydharborluxuryhomes.com. http://www.lloydharborluxuryhomes.com/. Retrieved 2013-06-26. ^ Diamos, Jason (1996-11-18). "Islanders Trade Kasparaitis for Smolinski". New York Times. http://query.nytimes.com/gst/fullpage.html?res=9406E3DD133AF93BA25752C1A960958260. Retrieved 2008-05-31. ^ Asher, Levi (September 19, 2001). "Jack Kerouac". Literary Kicks. http://www.litkicks.com/BeatPages/page.jsp?what=JackKerouac. Retrieved 2007-11-02. ^ "Patti Lupone". IMDb. http://www.imdb.com/name/nm0526985/. Retrieved 2010-01-21. ^ "Rozie Bacchi Publicity Stills & Production Photos". Rozie Bacchi. http://roziebacchi.tripod.com/rozie_photos_prod.html. Retrieved 2007-11-12. ^ "Biography for Joe Roseto". IMDb. http://www.imdb.com/name/nm0742886/bio. Retrieved 2007-11-12. ^ "Chris Messina". IMDb. http://www.imdb.com/name/nm0582149/. Retrieved 2007-11-12. ^ "Dan Milano". IMDb. http://www.imdb.com/name/nm0586850/. Retrieved 2010-01-21. ^ "MORRISON, Bruce Andrew, (1944 – )". Biography Directory of the U.S. Congress. http://bioguide.congress.gov/scripts/biodisplay.pl?index=M000992. Retrieved 2008-07-27. ^ Weber, Bruce. "Jim Neu, Creator of Wry Plays, Is Dead at 66", The New York Times, July 21, 2010. Retrieved July 21, 2010. ^ "Guinness names Northport teen world's youngest professor". Newsday. Archived from the original on 2008-04-26. http://web.archive.org/web/20080426231156/http://www.newsday.com/news/local/ny-liwhiz0422,0,4702323.story. Retrieved 2008-04-22. ^ "John Scurti". IMDb. http://www.imdb.com/name/nm0780336/. Retrieved 2010-01-21. ^ "Craig Ricci Shaynak". IMDb. http://www.imdb.com/name/nm1575801/. Retrieved 2010-01-21. ^ "Henry L. Stimson, 83, Dies on LI, Served Nation in Four Cabinets". Newsday: p. 2. October 21, 1950. ^ Kerr, Kathleen. "They Began Here: Around the country, leading thinkers in health and science can trace their roots to Long Island", Newsday, July 16, 2008. Retrieved September 17, 2008. This page uses content from the English language Wikipedia. The original content was at Huntington, New York. The list of authors can be seen in the page history. As with this Familypedia wiki, the content of Wikipedia is available under the Creative Commons License.